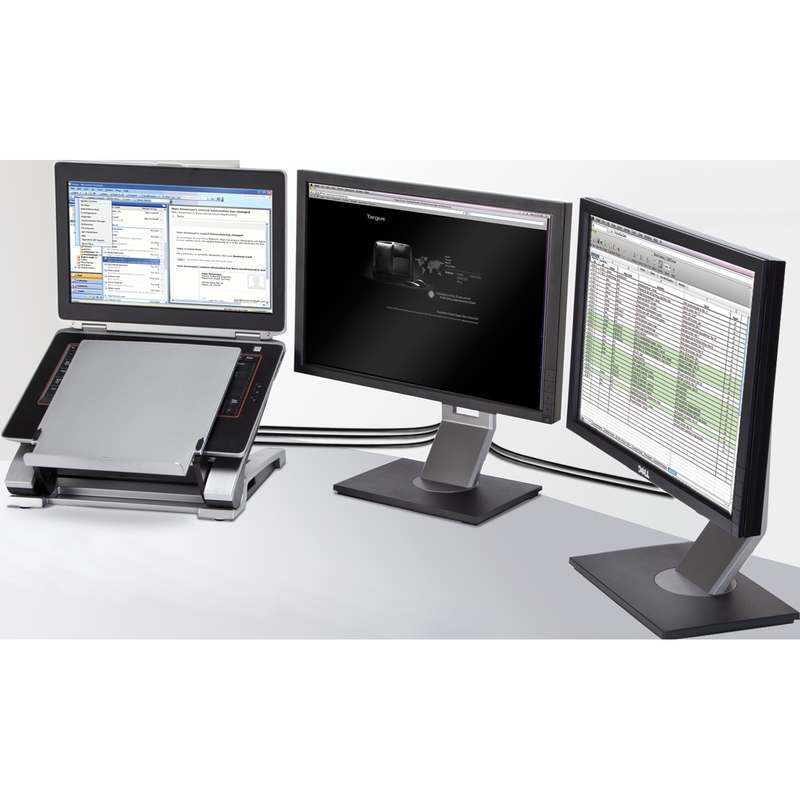 The Targus USB 3.0 SuperSpeed Dual Video Docking Station offers dual video ports that deliver beyond HD video and graphics up to 2048 x 1152 (1x DVI-I, 1x HDMI) to two monitors. 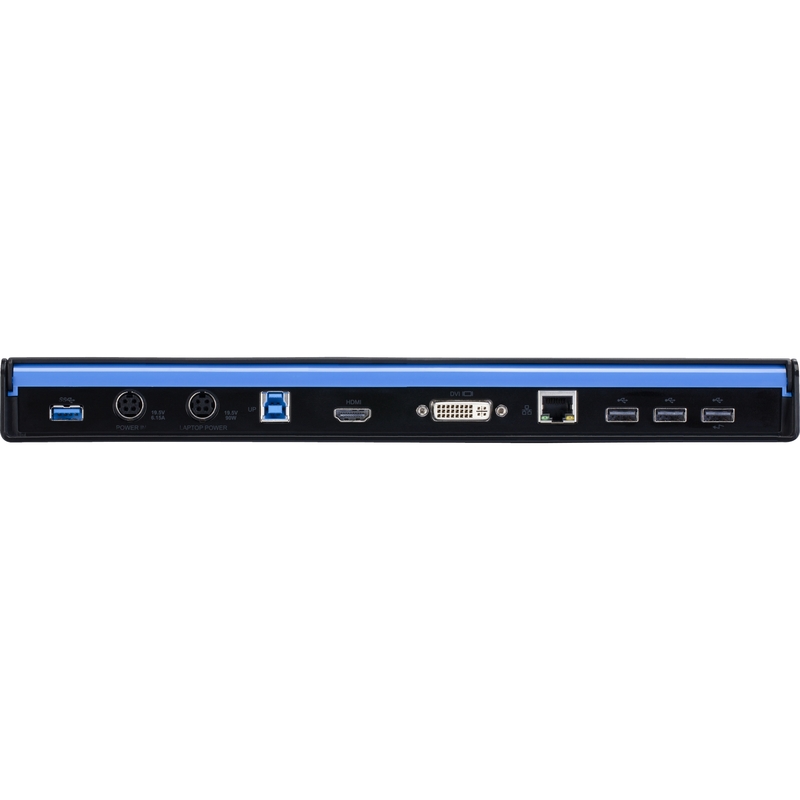 Get an increase in speed and power by utilizing the latest USB 3.0 technology for your workstation. 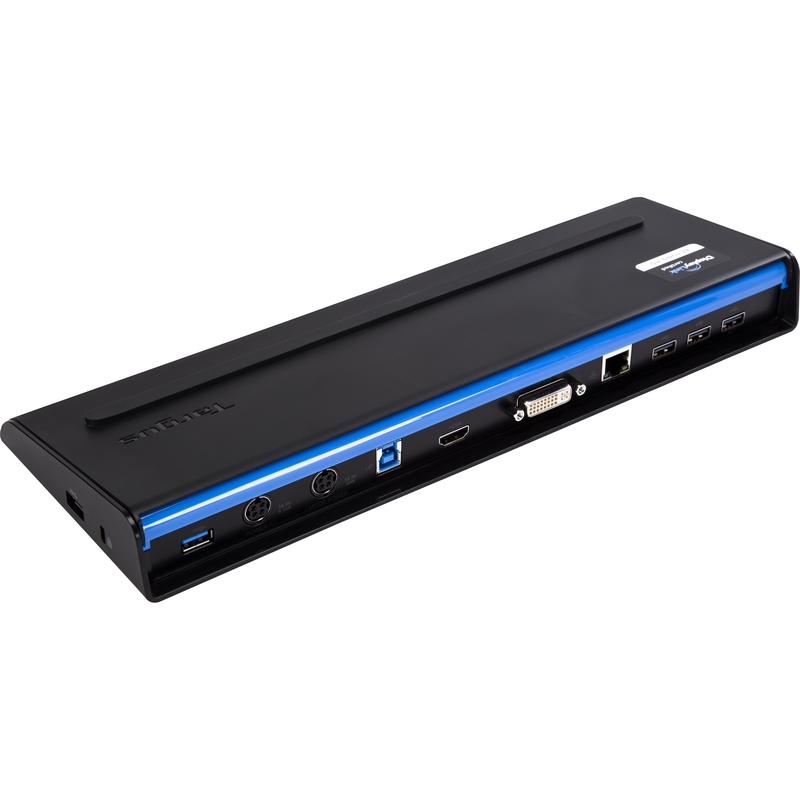 The Targus USB 3.0 SuperSpeed Dual Video Docking Station offers dual video ports that deliver beyond HD video and graphics up to 2560 x 1600 (1x DVI-I, 1x HDMI) to two monitors. 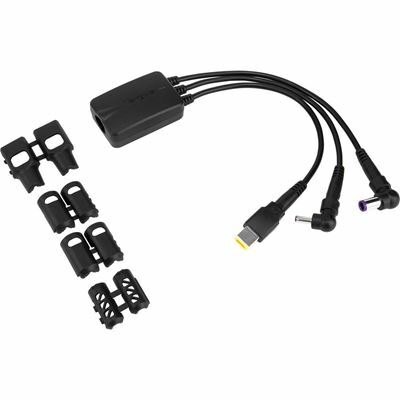 In addition, it includes a DVI to VGA adapter, 1 HDMI to DVI adapter, 2 USB 3.0 ports for your USB 3.0 peripherals and 4 USB 2.0 ports for all of your USB 2.0 items. 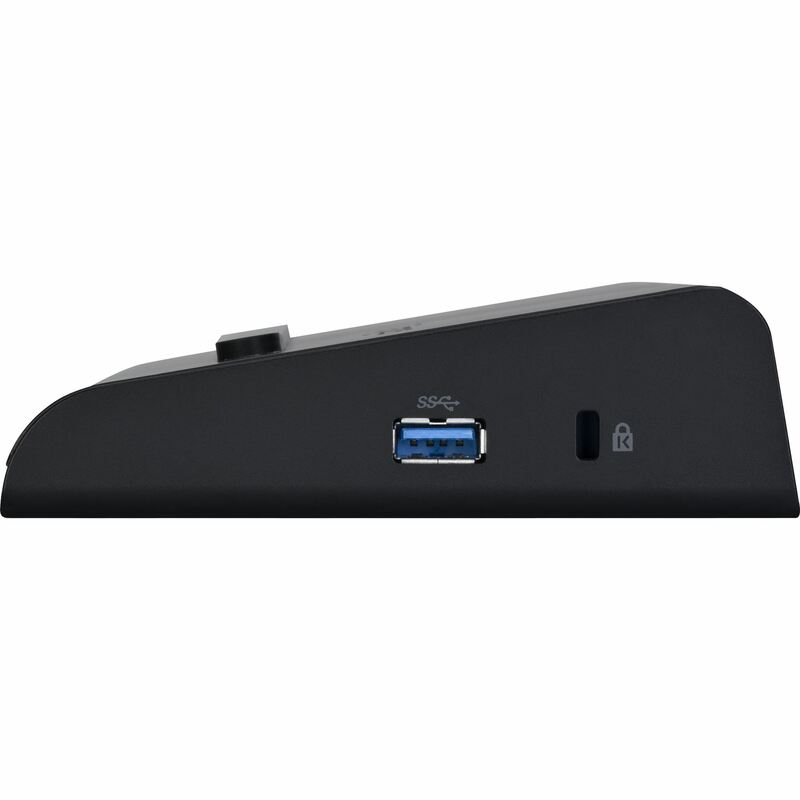 The docking station also features integrated universal laptop charging that is compatible with most 90W PC laptops. 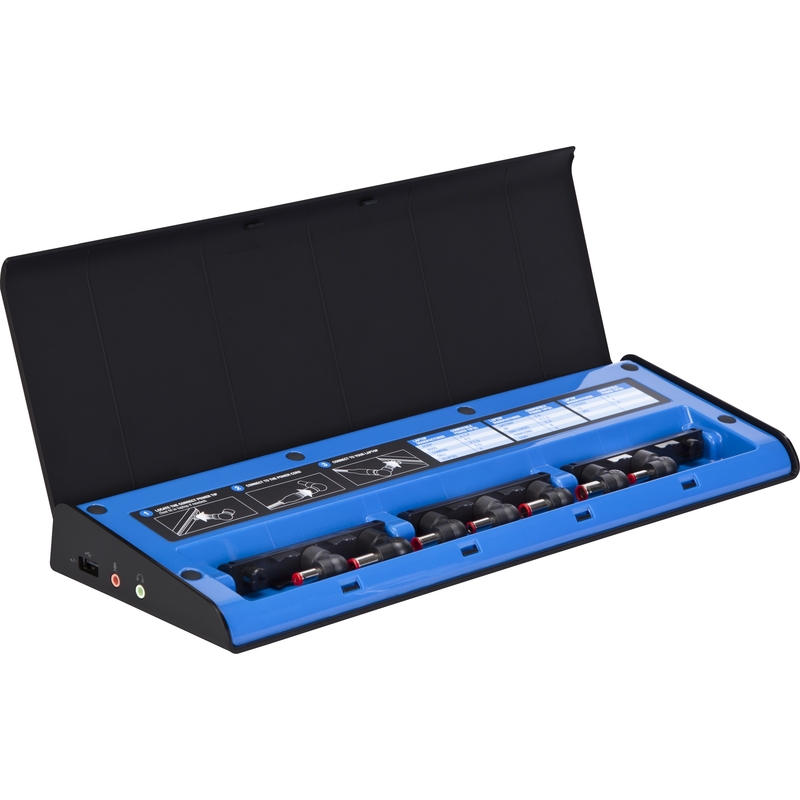 The universal power tips are conveniently stored inside the dock for quick and easy access. 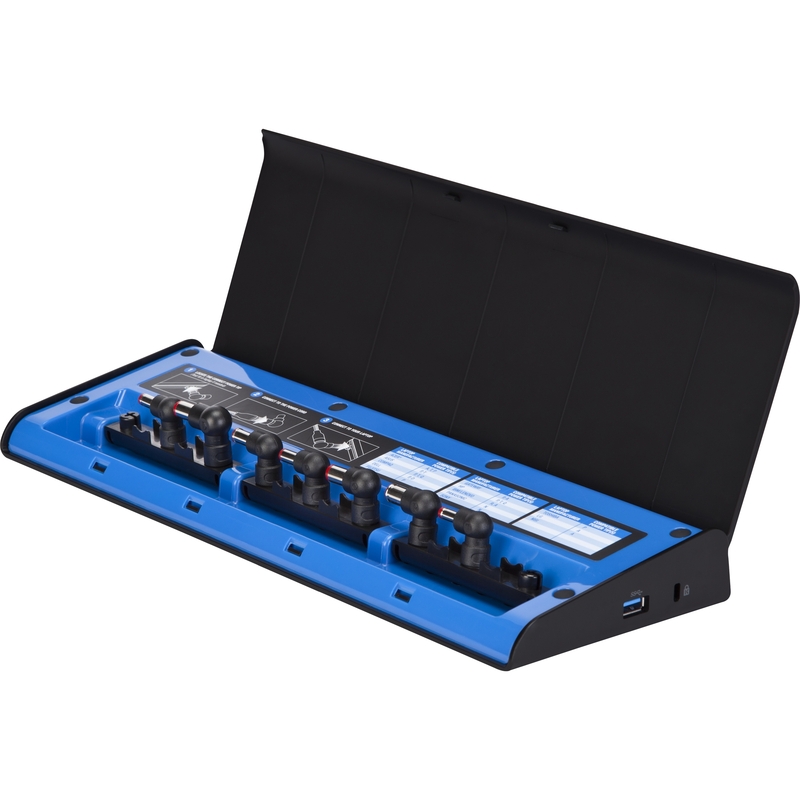 Also included are a Gigabit Ethernet port, audio In/Out ports to connect speakers and a security lock slot to help secure the dock and avoid theft. 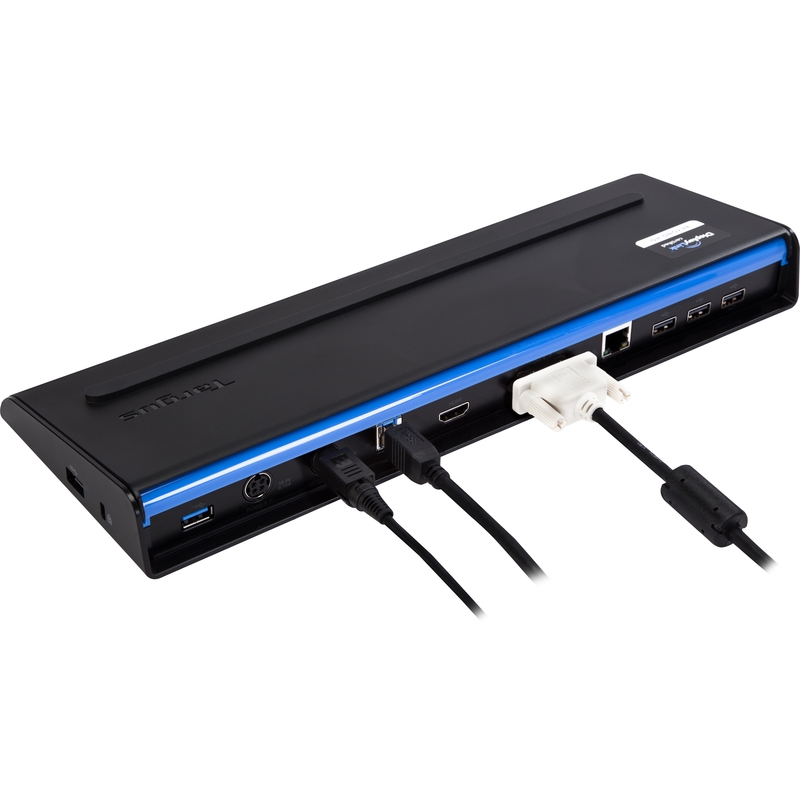 A 6.15A AC adapter and 1.8m USB 3.0 cable is also included to help make it easy to connect your device to a complete workstation – including dual monitors, mouse, keyboard, printer and other peripherals you may need by simply docking your laptop. 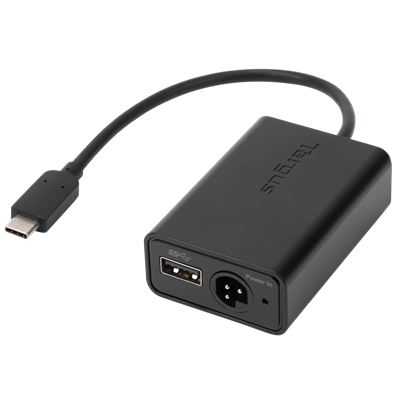 The docking station also has two highpowered USB ports, providing extra power and stays on even when the laptop is disconnected. 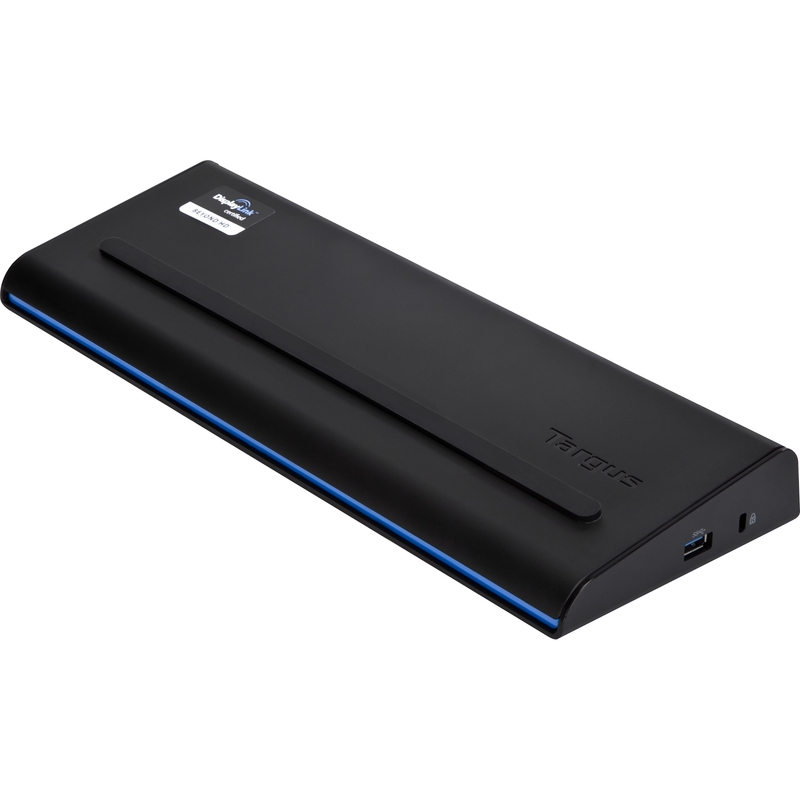 Powered - Includes universal 90W laptop charging (power tips to suit popular laptop models included). 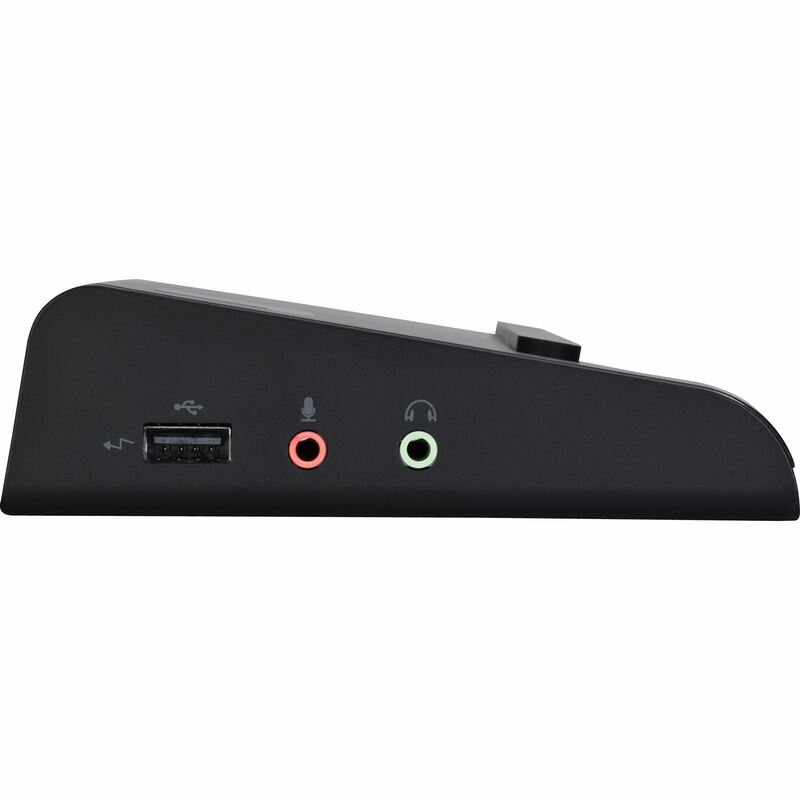 Please check with your Targus representative that a compatible power tip is available for your laptop and Pro Tablet.